Happy Friday Stampers! I'm so excited to show you my Snowflake Soiree Scrapbook today. I was inspired by the scrapbook shown in the Holiday Catalog. Ever since I saw it, I knew I had to make one for this holiday season. It will make a great gift too!!! And I know my Scrapbook Club gals will be CRAZY about this scrapbook, I've decided to do this project at our next club workshop on Monday, December 3rd from 6:30 pm to 8:30 pm. If you are local and wish to join us as a guest, please contact me. 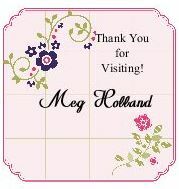 You can create this beautiful scrapbook for FREE with an order of $25 or more (before shipping and tax). Please note space is limited.